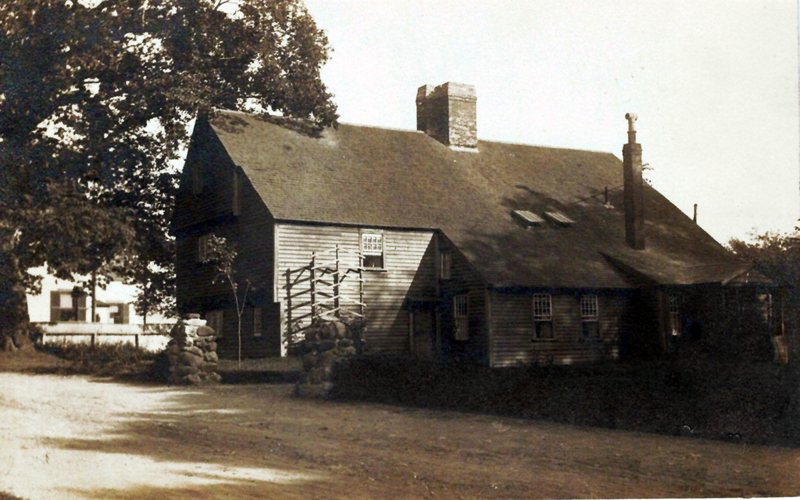 The 1677 Whipple house is a National Historic Landmark owned by the Ipswich museum, and is one of the finest examples of “first period” American architecture (1625-1725). The oldest part of the house dates to 1677 when the military officer and entrepreneur Captain John Whipple constructed a townhouse near the center of Ipswich. Prior to the 20th Century, oral history had attributed the house to John Fawne who moved to Haverhill before 1638, and to Richard Saltonstall, the town’s first miller. Dendrochronology tests conducted in 2002 dated the oldest timbers in the house to 1677. 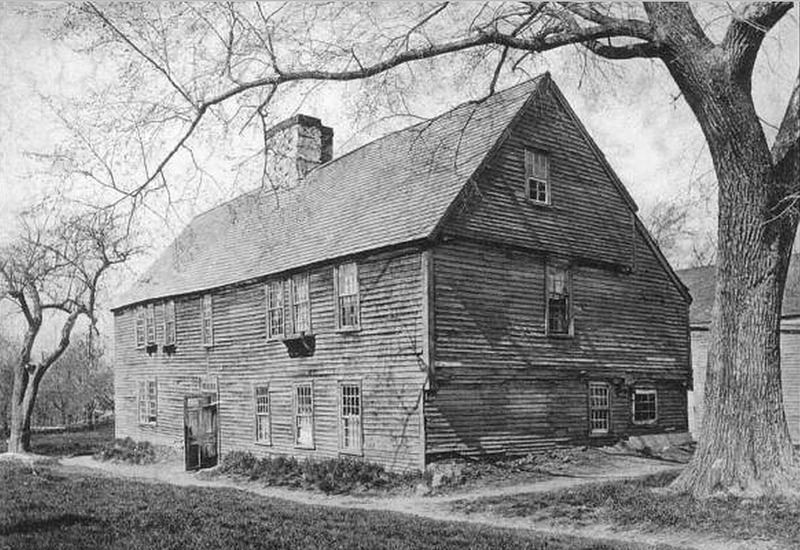 His son Major John Whipple doubled the size of the house by adding a lean-to addition in 1725 for slaves. The house was modified during the 18th Century with Georgian “improvements.” One of the earliest historic house museums in America, the Whipple House is a model in the early historic preservation movement thanks to the efforts of Rev. Thomas Franklin Waters who saved the house during the Colonial Revival period. The Whipple House has the original frame, large fireplaces, summer beams, wide board floors, and gun-stock posts. 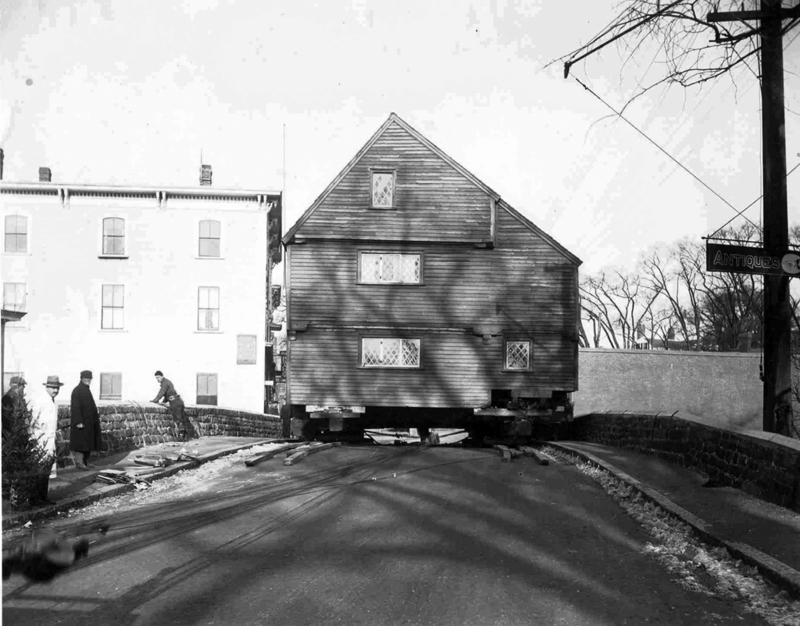 Originally at the corner of Market Street and Saltonstall Street, the Ipswich Historical Society saved the house from destruction, restored it, and then moved it over the Choate Bridge to its present location in 1927. Today, the house’s frame of oak, chestnut, and tamarack is largely intact. Wall sheathing and clamshell ceiling plaster retain their first period charm. Seventeenth and 18th century furnishings and decorative arts by local and regional craftsmen fill the home. Read more about the history of the Whipple House. One of the earliest historic house museums in America, the Whipple House is a model in the early historic preservation movement thanks to the efforts of Rev. Thomas Franklin Waters who saved the house during the Colonial Revival period. 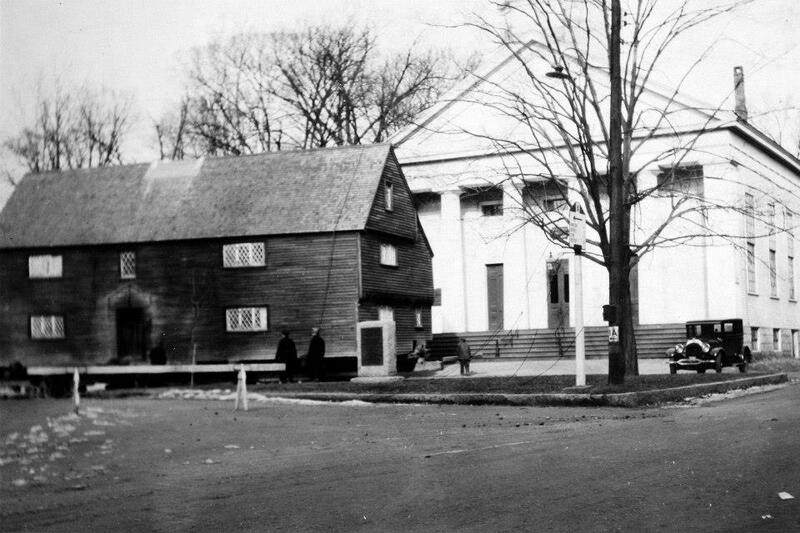 Tours of the Whipple House are available by inquiring at the Ipswich Museum. 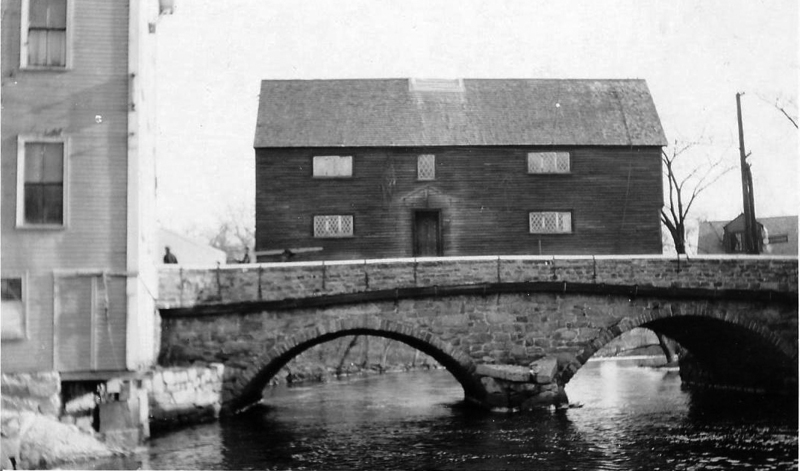 The house had fallen into serious disrepair in the early 20th Century but was saved from destruction, moved through town and over the Choate bridge to its current location on South Green, and restored to its 1683 appearance. The original frame of oak, chestnut, and tamarack is largely intact. A colonial-style “housewife’s garden” greets visitors at the entrance. 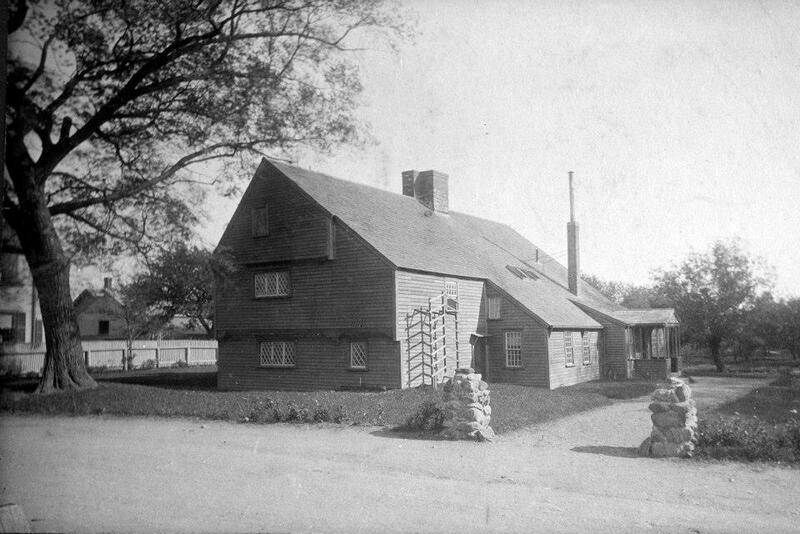 The Whipple House after it was restored by the Ipswich Historical Society, but before it was moved from Saltonstall Street to its current location on the South Green. 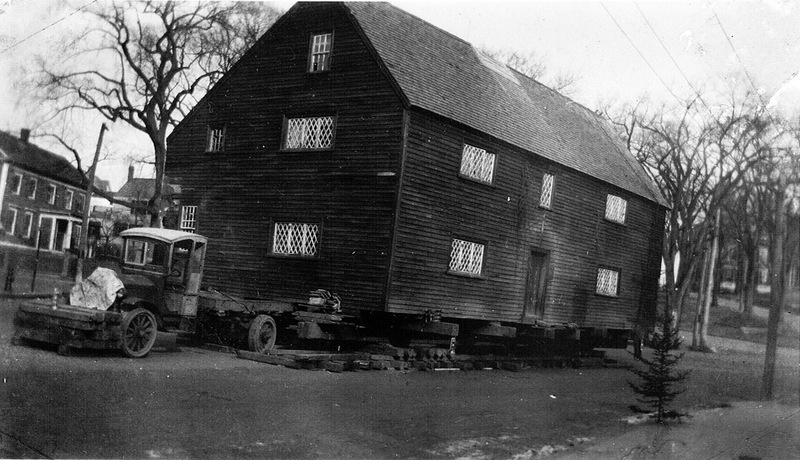 The Whipple House as it first appeared before being moved to the South Green. 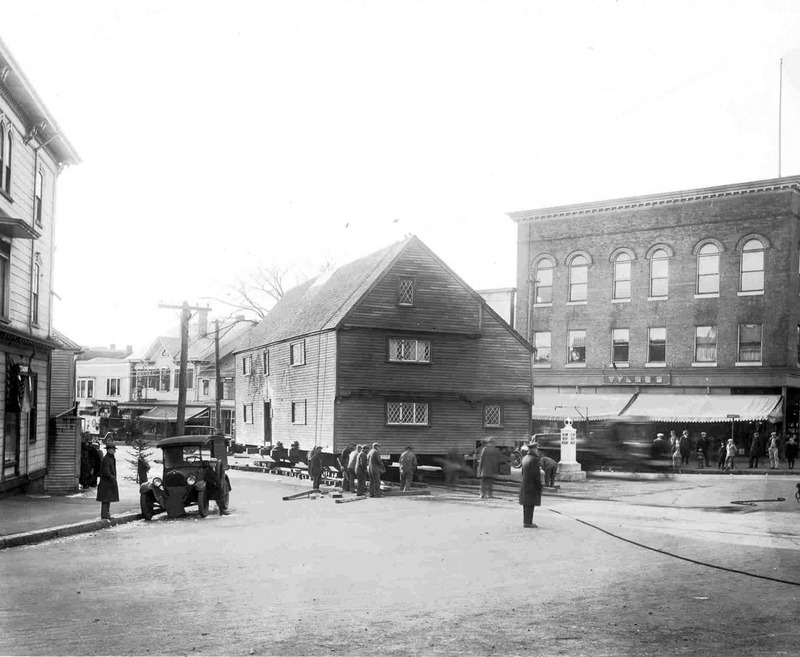 The following story was written by John Fiske, chairman of the Ipswich Historical Commission, and co-owner of Fiske and Freeman Fine and Early Antiques near the Choate Bridge on South Main Street in Ipswich. Wood is a good historian. The thought struck me as I was looking at a ceiling joist in the Whipple House. In 1677, Capt John Whipple, a stalwart citizen of Ipswich, Massachusetts, built himself a two-story “half-house” (one room on each floor and a garret above.) On the right hand end was a huge stone hearth rising to a large chimney: in front of the hearth was the front door. Half-houses were the common starter homes of the time, and were built in the full expectation that the other half, on the other side of the front door and the chimney, would be built as soon as the owner could afford to, or, at the very least, when his family outgrew the one-up, one-down with which he started. Capt. John must have prospered quickly, or bred quickly, or both, because by 1683, he had completed the second half, which he made slightly larger than the first. 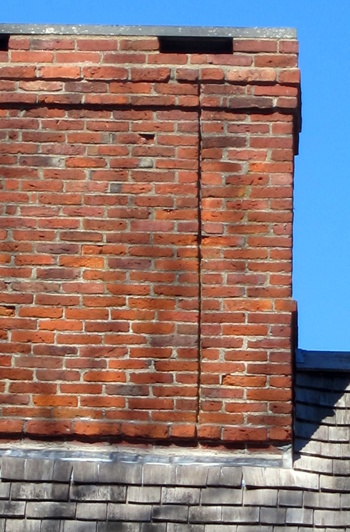 He added an extra flue to the chimney, and the line down the chimney shows us just where the half house ended. The first floor room in the first half, known as the hall, was where all the physical work took place, from cooking to candle-making, from brewing to cheese-making to spinning. Its equivalent in the second half, however, (known as the parlor) was decidedly more genteel. 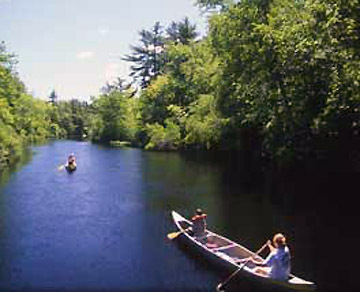 Here Whipple received his clients and did his accounts, here the family relaxed and entertained, and here Capt. John and his wife, and probably a child or two, slept in the only bed in the house – it was no good having as prestigious a piece of furniture as a bed if your neighbors and visitors couldn’t see it. All this from looking at a ceiling joist? Well, not really, but it was helpful background. You see, the joist had big vertical saw marks on its sides, and it was the only one in the parlor that did. On its underside, as with all the other joists, were irregular nail holes. Now, I bet the housewright got an earful from Capt. John about those saw marks. Smoothing tool marks out of wood was an expensive process, involving planing and then rubbing with an abrasive paste usually made of brick dust. The good Captain would not have wanted his clients and neighbors to think he couldn’t afford to have smooth joists in his ceiling. But I was delighted that those saw marks had been overlooked, for they proved that Ipswich had a sawmill. The sawmill showed that the colony had outpaced the mother country, and had set up a freer, more productive society. England had no sawmills as early as that: the sawyers’ guild (a trade union) was so powerful that it prevented their development in order to keep its members fully employed sawing wood over a deep pit with a pit saw. Pit saw marks are not vertical, but on an angle, because the underdog, the one in the pit, pulled the saw down and toward him on the cutting stoke. The guy on top, the topdog (yes, that is where those terms came from,) merely guided the saw and pulled it up for the next downstroke. Topdogs get it easy – that’s a law of nature! Capt John Whipple, then, was a member of a society that was developing as fast as it could – witness the sawmill and the speed with which he built the second half of his house. It was a forward-looking society where no ancient guild could restrict the freedom to cut wood in whichever way was the most efficient. Contrary to some assumptions, the Massachusetts Bay Colony was a strictly hierarchical society, and one of the functions of things in a hierarchy is to make rank visible. Capt John was a leading citizen, and it’s a modern misunderstanding to think of him as a show-off because he smoothed his joists. Smooth joists were one way of meeting his social obligation to make his rank visible. 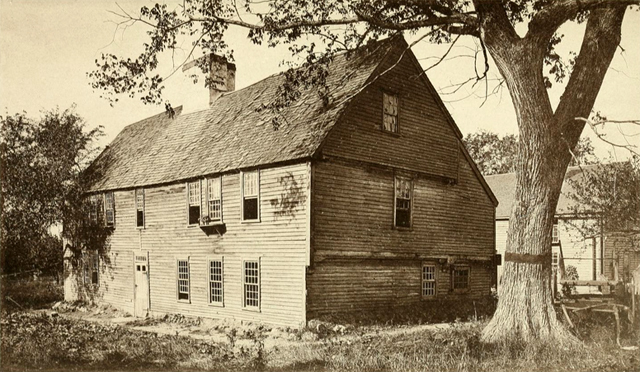 Identified as the “Saltonstall house” in the publication for the celebration of the two hundred fiftieth anniversary of the founding of Ipswich. But what about the holes on the joist’s underside? Much the same story. When Capt. John’s granddaughter, Mary Crocker, inherited the house, visible joists, however smooth, had become lower class and old fashioned, so she met her obligations to live in a house that visibly matched her status by hiding the joists behind a lath-and-plaster ceiling hence the nail holes for the laths. An accurate match between things and rank stabilized the social order. It has taken me quite a long time to put this story into words. A ceiling joist can tell it silently in half the time with twice the effect. And more accurately to boot: there’s a photograph of this joist in Abbott Lowell Cummings’s definitive book, The Framed Houses of Massachusetts Bay, 1625-1725 (1979), but it is erroneously said to be in the 1677 half of the house. If you’re looking for history, go for wood, not words. Whipple house repairs in 1953–1954 exposed the original frame with wattle and daub between the studs. Window sash with diamond panes were installed in 1898 during restoration. Photo by Peter Zaharis.